It’s not hard to get taken away by the luxury in Dubai, regardless of where you stay, dine or what you do because everywhere has a high standard. You can’t beat the cost of the beaches here as they’re free! They also happen to be some of the world’s most beautiful beaches. You may decide to spend a day or two on the white soft sands that have pure white shells hidden within the shorelines or choose to take a dip in the warm crystal blue sea. Better yet, if you’re feeling adventurous there are many different types of water sports to give you an adrenaline rush. The costs of the water sports depend on what you do but there’s a good chance you can find an affordable group saver price. 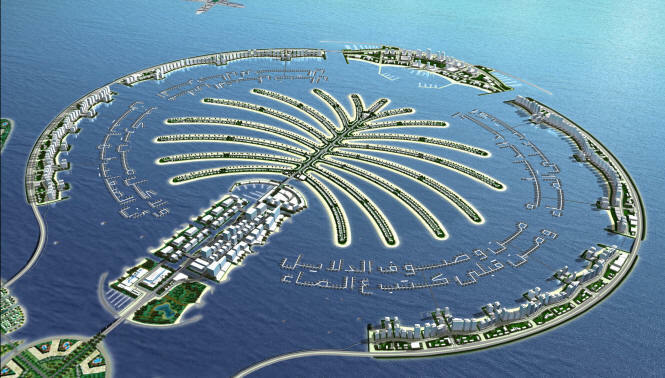 Dubai is one of the largest gold marketers in the world and at the forefront of technology and fashion. So whilst it certainly costs money to shop, thanks to the duty-free shops you can pick up a bargain. Visit the vibrant markets that sell everything you expect from a market and more in a buzzing atmosphere. Although the high quality products are already discounted you can be cheeky and haggle to take home a better bargain! Don’t forget to enquire about the famous Dubai shopping festivals, an annual yearly heaven for shopaholics. The festivals offer a month long extravaganza where you can check out goods and products from virtually every corner of the globe. You don’t just have to get wet at the beach to have a brilliant time. Wild Wadi is one of Dubai’s top attractions. This adventure water park is an ideal way for everybody to beat the heat in a world of pure fun. Lose yourself and become a kid again with incredible rides and water surfing all on an inexpensive budget. Once again don’t forget to enquire about family or group saver tickets. Getting around is easy on the pocket, especially using public transport. Or breathe in the fresh air and take in the sights as you walk. Getting into the attractions like the world famous Burji Khalifa hotel and the Dubai museum costs nothing and they have some brilliant things to show off. Alternatively, if you think you’ll be spending hundreds on taxi fares or public transport then you may find it’s much better value for money to take a hot air balloon ride over Dubai and see everything for a couple hundred bucks, all in one day.